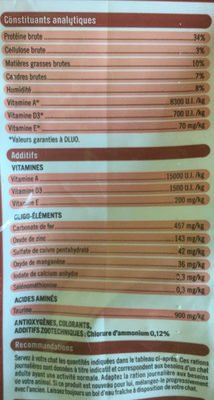 Vitamin E 7 mg ? ? ? ? Taurine 0.12 g ? ? ? ? Product added on August 4, 2017 at 6:54:44 PM CEST by foodviewer. Last edit of product page on January 27, 2019 at 6:09:20 PM CET by psine.